CHARDON, Ohio – Chardon Polka Band, one of the country’s leading modern polka groups, is bringing its music to children. 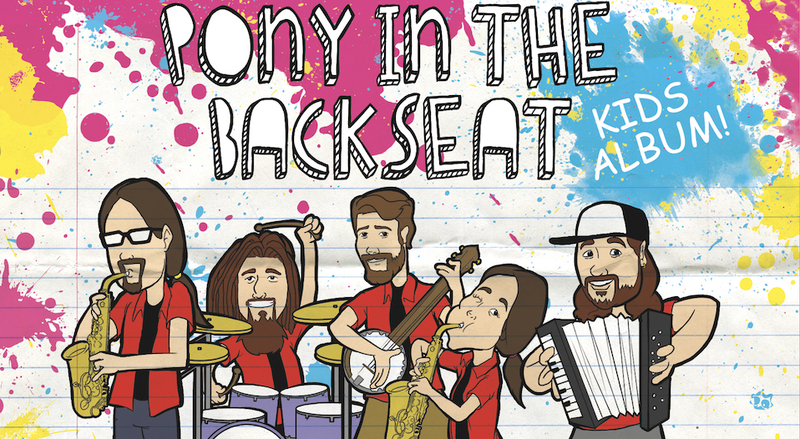 The Cleveland-based group released a kids’ album, “Pony In The Backseat,” on July 10. The album consists of 16 tracks — half music, half dialogue — and it’s all tailored to young polka fans. Each track has a different topic, varying from pirates to fire safety, or goofy animals to making career choices. It’s not your typical polka music. Chardon Polka Band was inspired to create a kids’ album after playing at elementary schools in the last few years. These shows have become a big part of the group’s tour schedule even though Chardon Polka Band found most of its success playing summer concerts and Oktoberfest shows in the fall. When winter and spring arrived, the band found it challenging to keep a steady string of shows together. So, it started playing at elementary schools for hundreds of students. These shows incorporate both lively polka music and educational lessons, teaching children about instruments and music. And Kouwe said that the performances give Chardon Polka Band some of its best audiences. It’s all a steep departure from the band’s debut 2011 album, titled “Pirates, Women and Beer.” But it’s a welcome addition to the Chardon Polka Band’s discography for its ever-growing fan base.